Our natural USA Dino Bone is a masterpiece of taste for your dog’s ultimate enjoyment. It is a whole USA beef bone from the front leg generally reaching 12 – 14” long. 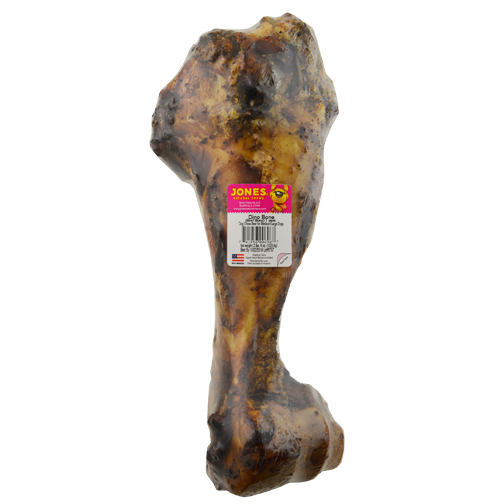 With no artificial ingredients, this bone is best for medium to large dogs. All Jones’ products are 100% grown and made in America.